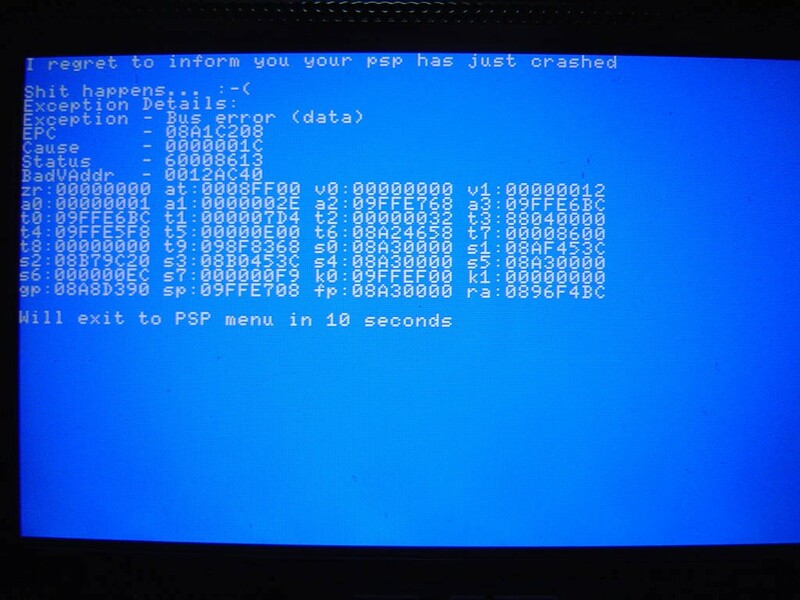 I got this error when trying to run a ROM on SNES9xTYL. It didn’t brick my PSP, but I thought it was funny. Here is another link incase this one goes down. Ecco l’immagine che conferma la cosa. azioni non consentite tra 10 secondi.